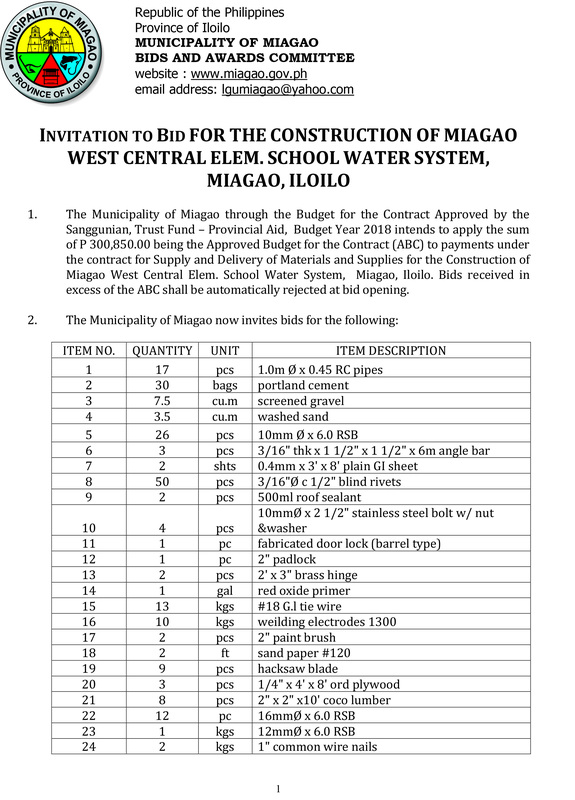 The Municipality of Miagao through the budget for the contract through DA-NMIS Department of Agriculture – Meat Establishment Improvement Program and counterpart of Local Government Unit of Miagao (Account Code 8918 (2)) Budget Year 2015 intends to apply the sum of P 5,750,000.00 being the Approved Budget for the Contract (ABC) to payments under the contract for One Job Contract for the Construction of the New “AA” Slaughterhouse as per plans and specifications. 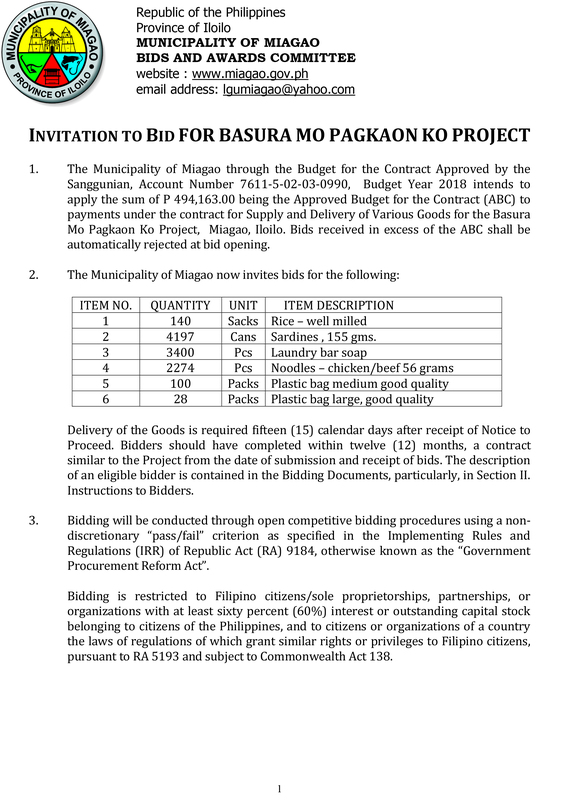 Bids received in excess of the ABC shall be automatically rejected at bid opening. 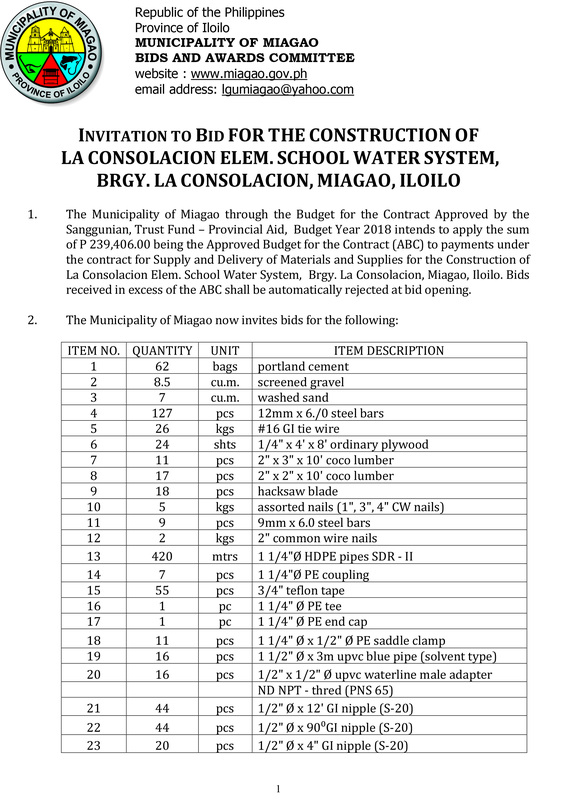 Completion of the Works is required ONE HUNDRED TWENTY (120) calendar days upon receipt of Letter of Acceptance. 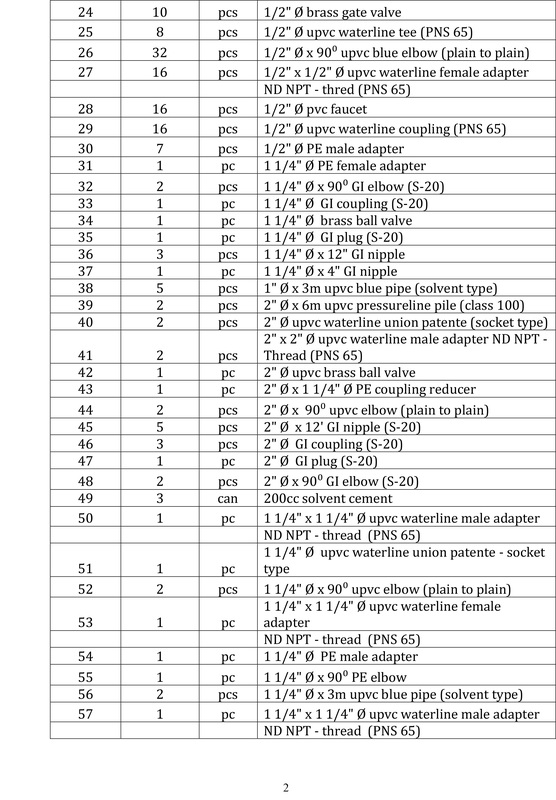 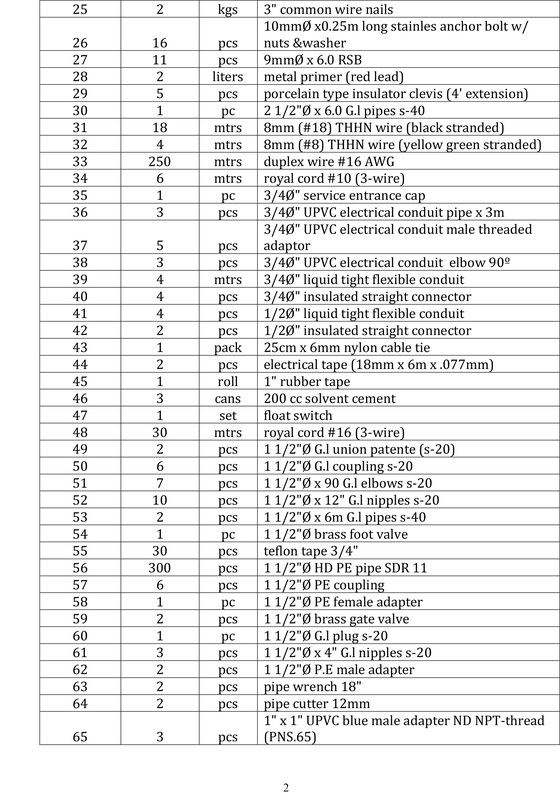 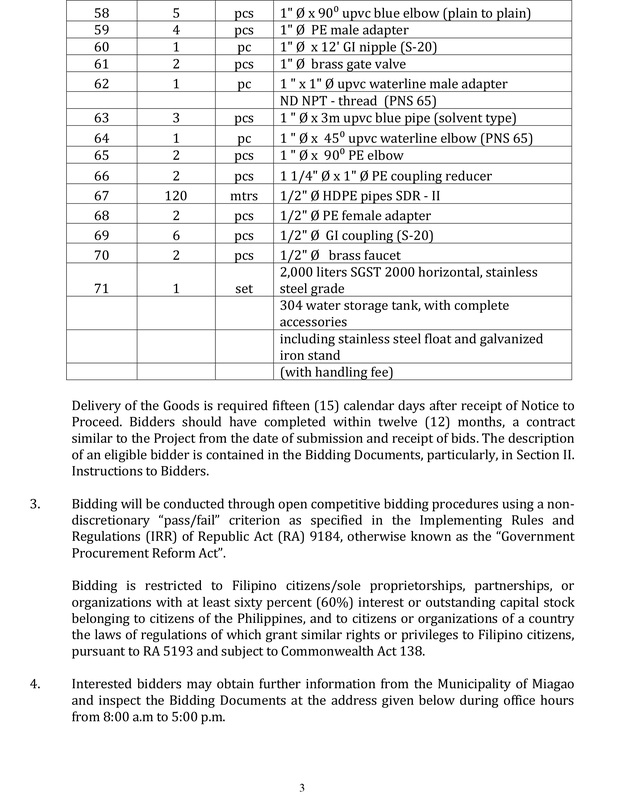 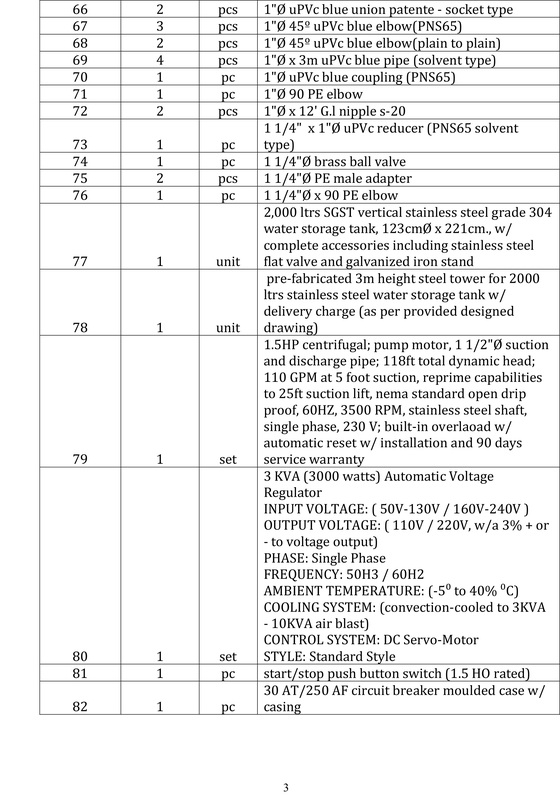 A complete set of Bidding Documents may be acquired by interested Bidders on September 17 – October 5, 2015 from the address below and upon payment of a nonrefundable fee for the Bidding Documents, pursuant to the latest Guidelines issued by the GPPB, in the amount of Ten Thousand ( P 10,000.00) Pesos. 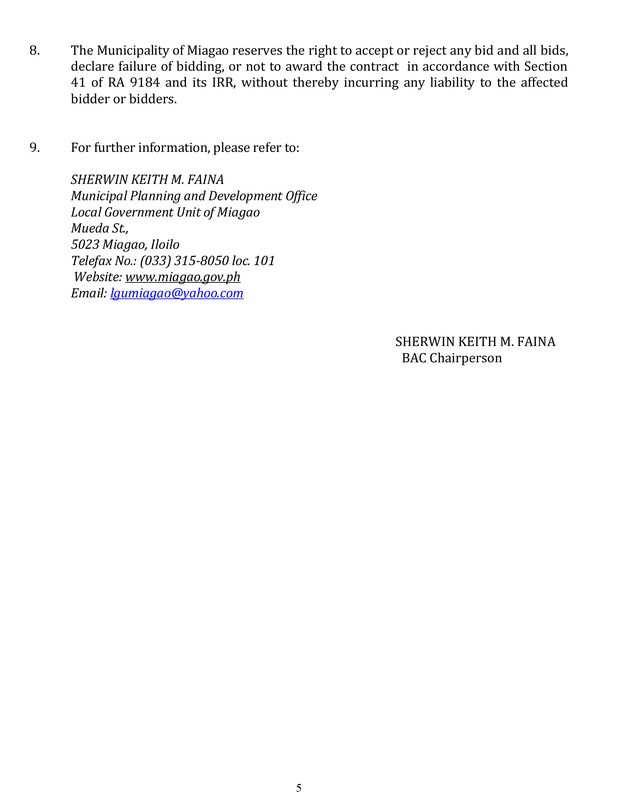 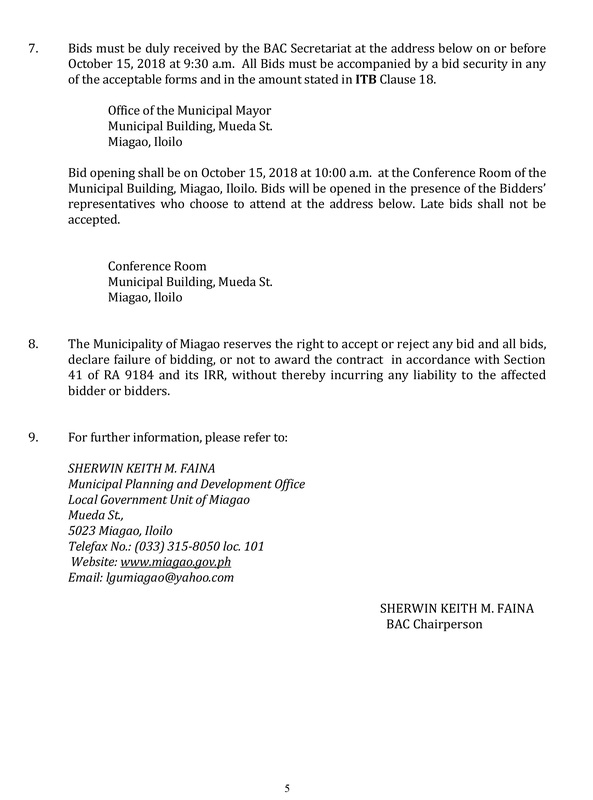 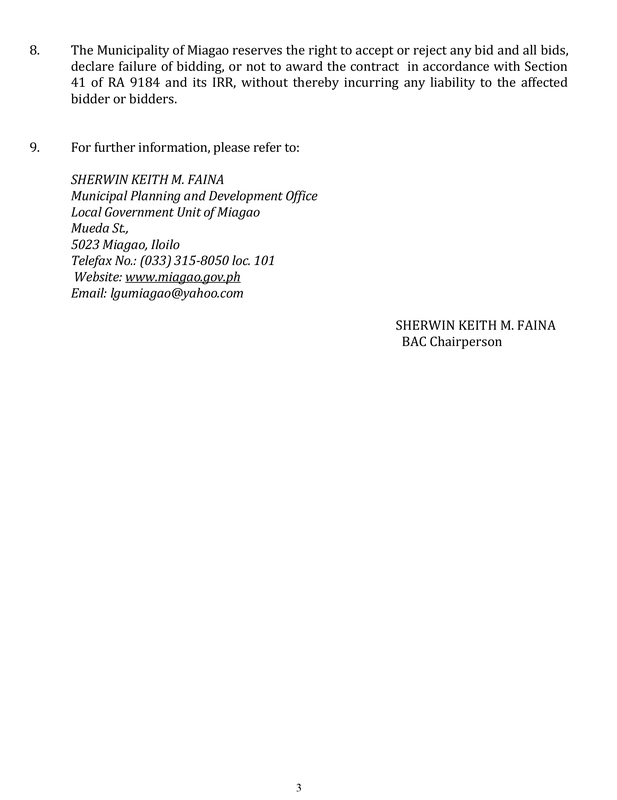 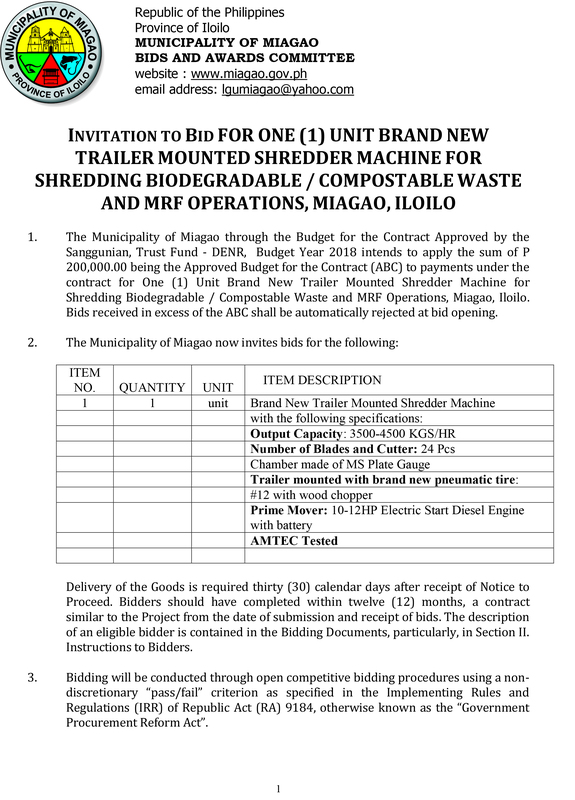 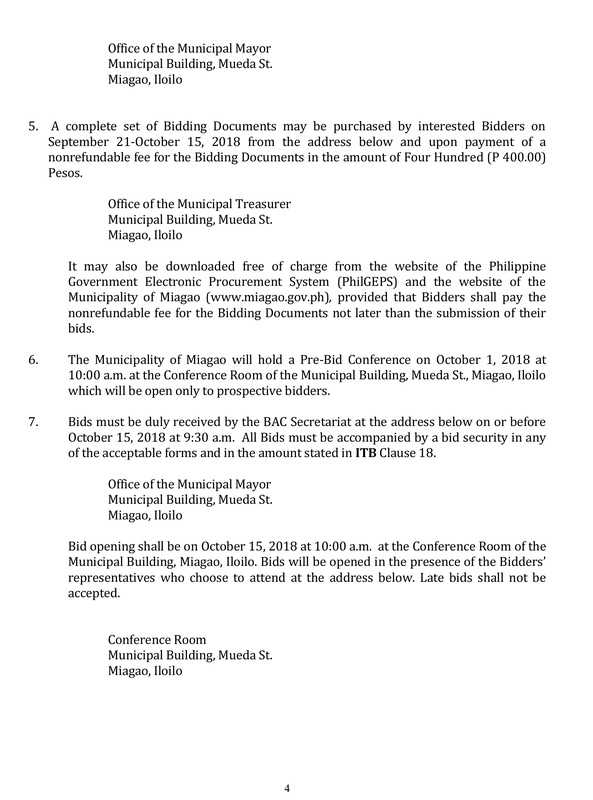 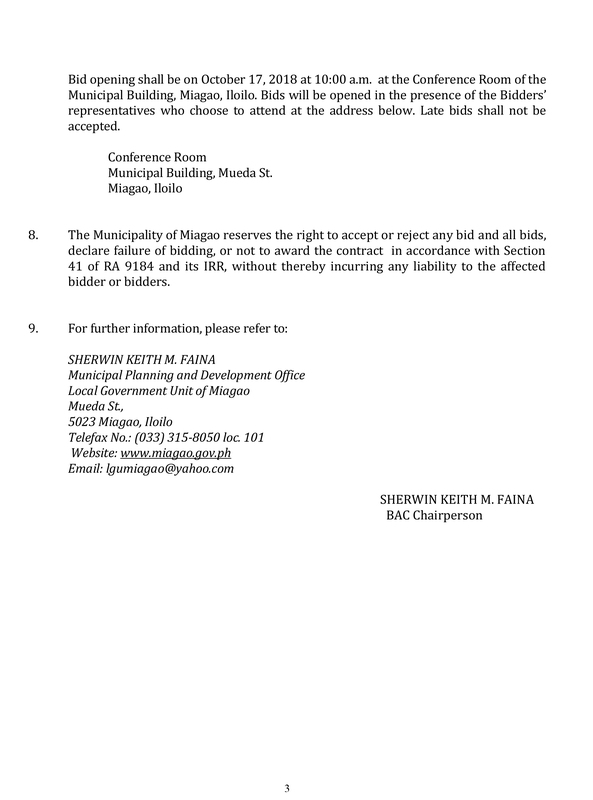 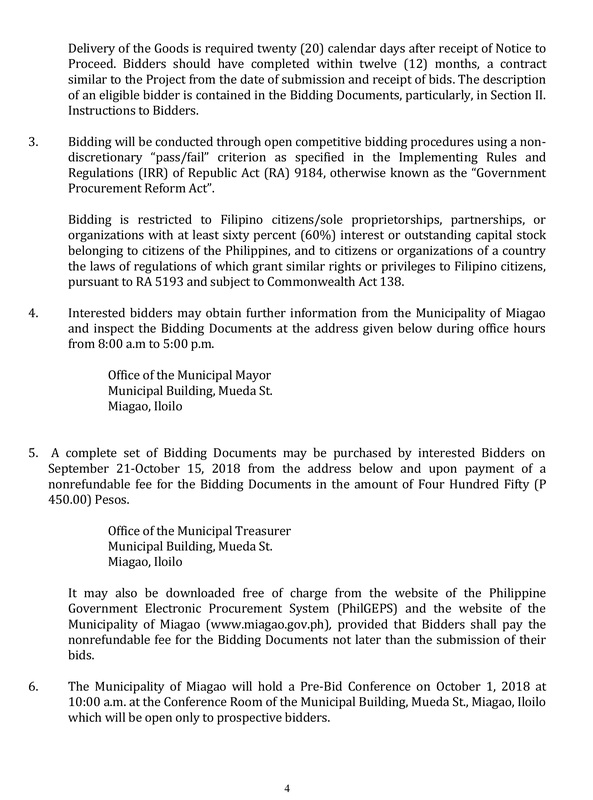 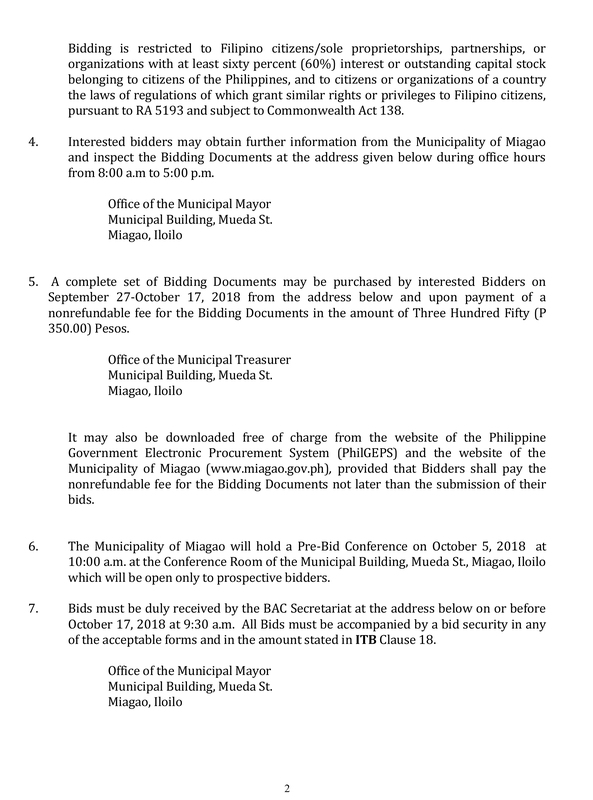 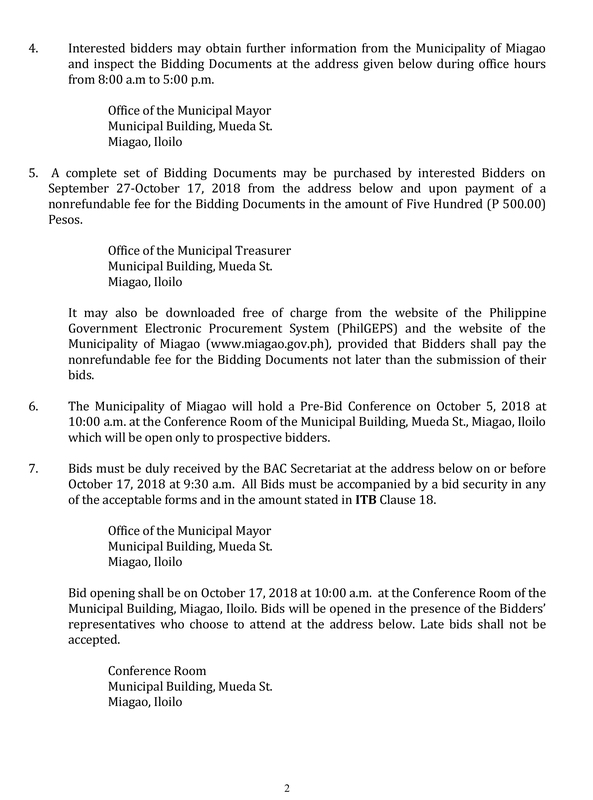 The Municipality of Miagao will hold a Pre-Bid Conference on September 23, 2015 at 10:00 a.m. at the Conference Room of the Municipal Building, which shall be open to all interested parties.